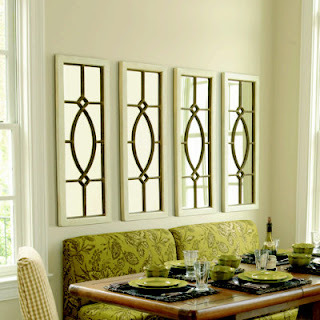 Adding a mirror to a room is one of my favorite decorating focal points. 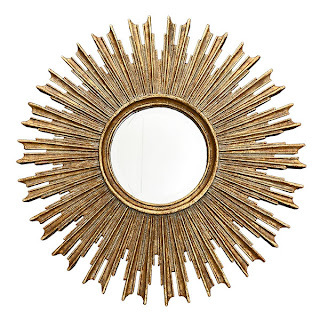 A great mirror looks wonderful over a mantle, or, above a sofa. 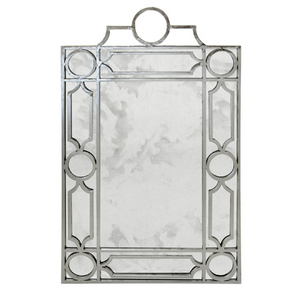 A great mirror can also be the ‘anchor’ for a neat wall display. For instance, hang the mirror and then a collection of plates on either side of it….an instant ‘pop’ and, a quick way to warm up your room. Awesome look! From Ballard Designs. Notice the way the four mirrors are hung side-by-side…very CHIC! 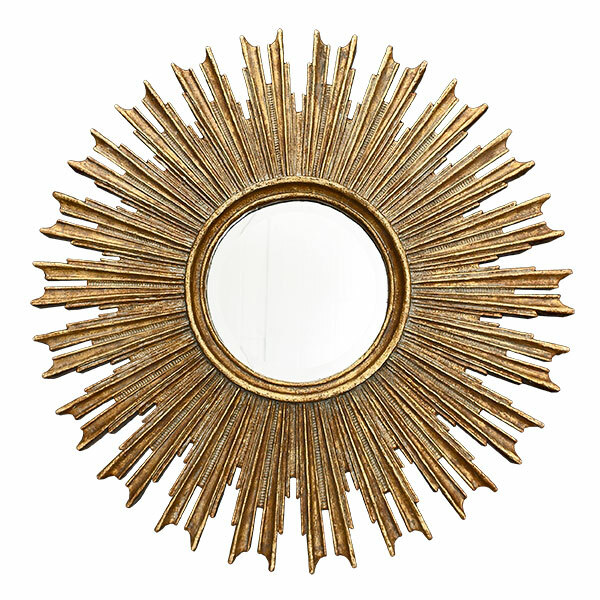 *FLAIR TIP: A great looking mirror always adds a custom look to a bathroom. Select a mirror with nice and clean lines to hang over a sink and vanity. 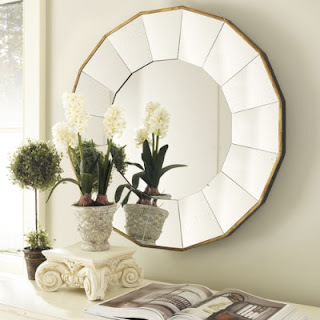 The mirror will instantly update the room and add interest. Always avoid plain cut pieces of mirror in a bathroom. 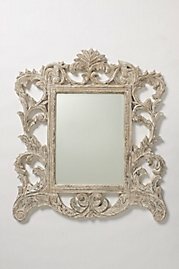 A mirror that is hung over a bathroom sink looks MUCH more professional and adds character and flair to the space. Next post: CANDLE SALE BY SLATKIN: A GREAT DEAL!